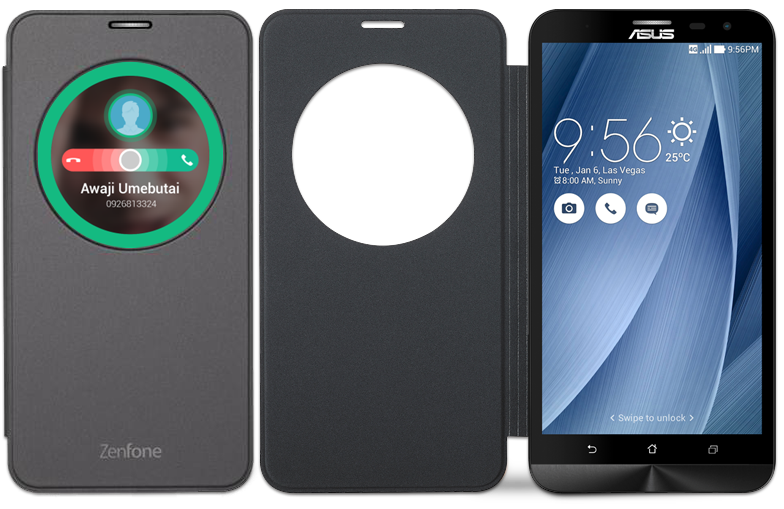 Asus ZenFone 2 Laser View Flip Cover ‏(ZE600KL /ZE601KL)‏! Original by ASUS. View Flip Cover protects ZenFone2 Laser’s (ZE600KL/ZE601KL) beautiful display from scrapes and scratches. Receive all your important information without opening cover. ZenFone 2 Laser (ZE600KL/ZE601KL) View Flip Cover lets you see all your important information — including incoming calls, new messages, time, weather, flashlight, quick setting, and photo— at a glance, with no need to open the case.